Following their springtime Easter break, Sacramento lawmakers headed back to the capital city faced with an enormous number of bills to consider—around 1,900 at last count. 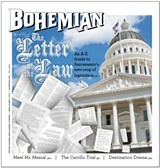 The Bohemian thought it would be instructive to take a spin through the offerings now making their way through the legislative process, and highlight an A-to-Z sampling of what's currently under consideration, with an emphasis on proposals of especial concern to the North Bay. 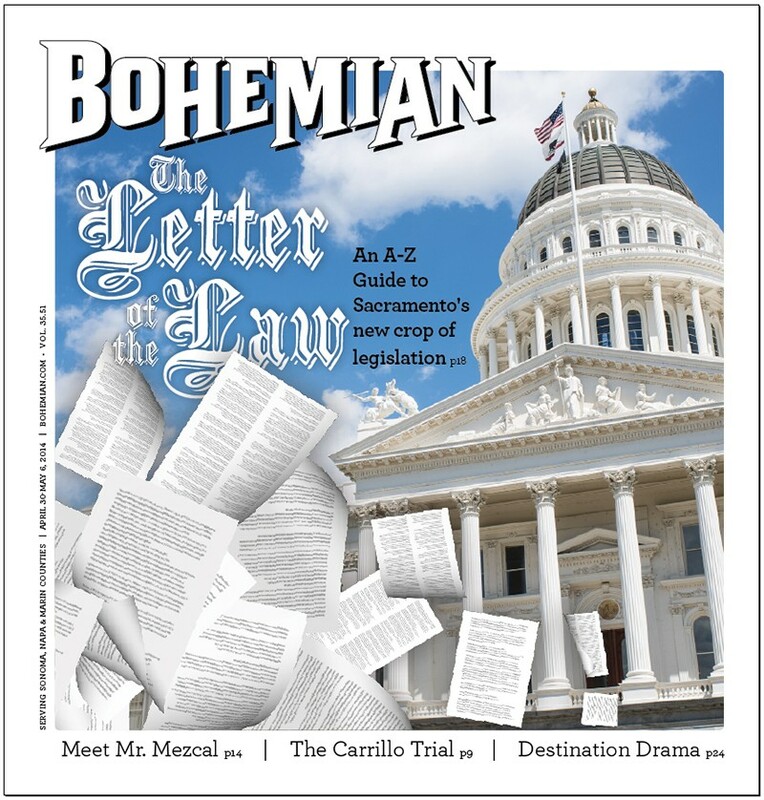 Stay tuned to the Bohemian in coming weeks, as we'll be following the progress of these bills, and any other that you'd like to contact us about. 'Fish" is one of those words you used to see on the restaurant menu, and you'd say, "I'll have the fish." What kind of fish? Didn't matter, you were ordering the fish. Restaurants are a lot more specific these days, but Big Grocery has a bad habit of mislabeling the monkfish—or did. Public awareness of the rampant mislabeling of fish comes courtesy of a 2013 report by Oceana and led to a push by Sen. Alex Padilla, D-Pacoima, to mandate accurate labeling of the fish at your grocer's. There are all sorts of fish out there, some tastier than others – and some more endangered or otherwise overfished than others.